Leading provider of business supplies and services across different channels, Office Depot, Inc., has recently confirmed that it has enhanced its Print and Copy services by placing thousands of new Xerox units in regional production facilities and retail stores all over the U.S. The new units, Office Depot said, include high-end production devices and personalization software as well as walk-up multifunction printers. Walk-up customers will be able to use the tablet-like interface of the Xerox multifunction printers to scan, print, copy and also checkout at the device with the help of a secure and customized auto-pay feature. Supposedly, customers also have the convenience of placing orders in-store, or through the mobile app of Office Depot with in-store pickup, for printing marketing materials and products from the Xerox C60/C70 Printers. 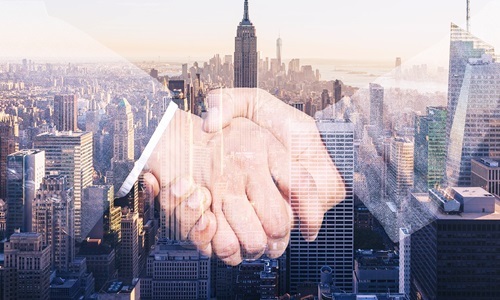 This move represents an extension of Office Depot’s thirty year-long relationship with Xerox Corporation and also marks its newest investment in its WorkonomyTM business services platform. Office Depot’s chief merchandising and supply chain officer, John Gannfors stated that meeting the needs of business customers on their terms is one of the main focus of the company’s Workonomy platform, through its robust expertise and services, including technology, printing, packing and shipping. According to the company, both business and retail customers would benefit from the new agreement, primarily due to devices like the metallic ink printer Xerox Iridesse® Production Press. Customers can also enjoy the capability of digital printing variability and mass customization with devices like Xerox Trivor® Inkjet Press and Xerox Brenva® HD Production Inkjet Press, which are high-speed printers with offset quality output. Mike Feldman, Xerox’s Americas Operations president, said the company aims to become a true technology leader, expanding to offer strategic consultancy and guidance. Xerox’s long-term relations with Office Depot indicates its sustained power and the company is confident that its innovations will help boost Office Depot’s Workonomy platform even further, Feldman added.